DANVILLE, Va. - The Danville Braves have received five end-of-year awards, as announced by Appalachian League President Lee Landers Wednesday. The D-Braves were named 2017 Appalachian League Organization of the Year, while Community Relations & Sales Manager Betsy Haugh was named the recipient of the Appalachian League Woman of Excellence Award and the Appalachian League Outstanding Employee of the Year. D-Braves broadcaster Nick Pierce was named Broadcaster of the Year, and the Braves also were selected as the recipient of the Patriot Award. The Organization of the Year award is presented to the team that exemplifies the standards of a complete baseball franchise. The D-Braves recorded their second straight season with a total attendance above 30,000 and also saw a 10 percent increase in annual attendance in 2017. The Braves also put together a strong promotional schedule including two bobblehead giveaways, a Cancer Awareness night, Blooper's Beach Bash mascot party, and the Danville Braves Community Concert Series presented by Danville Toyota. In addition to giveaways and theme nights, the Braves also offered weekly promotions including discounted tickets and concessions items. The D-Braves continued to be active in the Danville and Pittsylvania County community, raising nearly $6,000 that was donated to local non-profit organizations, including God's Storehouse, the Danville Veteran's Memorial, the Danville Pittsylvania Cancer Association, and the Centra Foudnation. The D-Braves also contributed tickets and memorabilia for local organizations to use in their fundraising efforts. In addition to monetary contributions, Braves players visited local schools and the Braves staff made numerous community appearances. As the Appalachian League Organization of the Year, the Braves will now be nominated for Minor League Baseball's John H. Johnson Award. "We are humbled and honored by this recognition by our peers in the league," said Danville Braves General Manager David Cross. "This award means the most, as it says a lot about our entire staff this year and in the past." The Danville Braves have been in Danville since 1993 and under current leadership since 2000. The Appalachian League also announced Betsy Haugh as the recipient of two league awards, the Woman of Excellence Award and the Outstanding Employee of the Year Award. In her first season as a full-time member of the Braves front office staff, Haugh was responsible for the team's media and community relations, while also working in sales and overseeing retail operations. Her efforts in media relations helped the Braves receive local news coverage from a variety of outlets, and her social media marketing helped the D-Braves become the most followed team in the Appalachian League on Twitter and one of the most active teams across the league on social media. In addition to her responsibilities in Danville, Haugh also serves as the Appalachian League publicist, where she updated the league media guide, ran the league's social media and website, and distributed league press releases throughout the 2017 season. As the recipient of the Appalachian League Woman of Excellence Award, Haugh will be nominated for the Rawlings' Woman Executive of the Year Award in MiLB. "Betsy has done a tremendous job for not only the Braves but also the Appy League," Cross said. "To receive this honor says a lot about her work." Nick Pierce, the voice of the Danville Braves since the team began broadcasting games in 2007, was named 2017 Appalachian League Broadcaster of the Year. Pierce broadcasts each D-Braves home game solo, serving as both the play-by-play announcer and providing color commentary. Each season Pierce travels to Atlanta to conduct interviews with former D-Braves now playing the Major Leagues, as well as members of the Atlanta Braves player development and front office staffs, for use during his broadcasts. Pierce also works full time in the Liberty University Athletic Department and serves as the PA announcer for the Carolina Panthers. "Nick started with us back in high school, and I am proud to see him receive this award," Cross said. The Danville Braves were also announced as the recipient of the 2017 Appalachian League Patriot Award presented to a team who provides outstanding support of and engagement with U.S. Military members and veterans both at the ballpark and in the community. The D-Braves raised nearly $1,500 for the Danville Veteran's Memorial through auctions during the 2017 season, a military appreciation effort the team has conducted for six consecutive years to support the Veteran's Memorial and the Fisher House at Camp Lejeune. The D-Braves also offered a standing military ticket discount throughout the season. 2017 marks the second straight year the D-Braves have received the Appalachian League Patriot Award. As this year's recipient, the D-Braves will be nominated for MiLB's Charles K. Murphy Patriot Award. "To be recognized for the second year in a row is a great honor," Cross said. "I believe all our clubs in the League are great supporters of our military and this could have gone to any number of clubs." 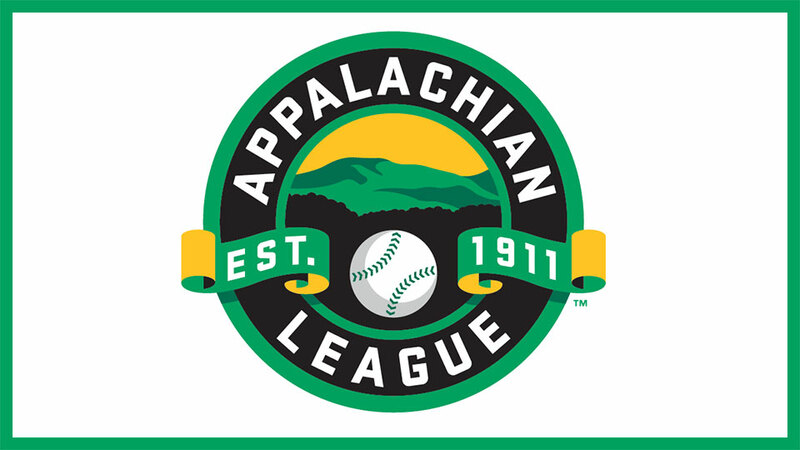 For a complete list of all 2017 Appalachian League award winners, visit appyleague.com.